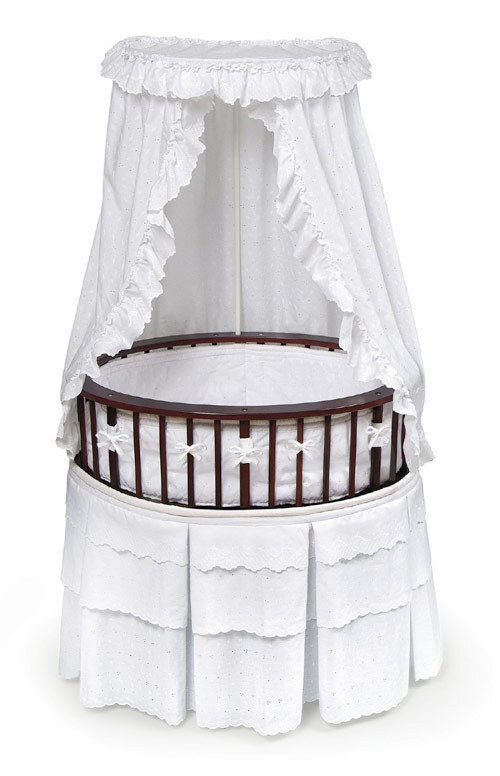 Our Elite™ Bassinet offers a traditional oval shape with a very upscale furniture look! 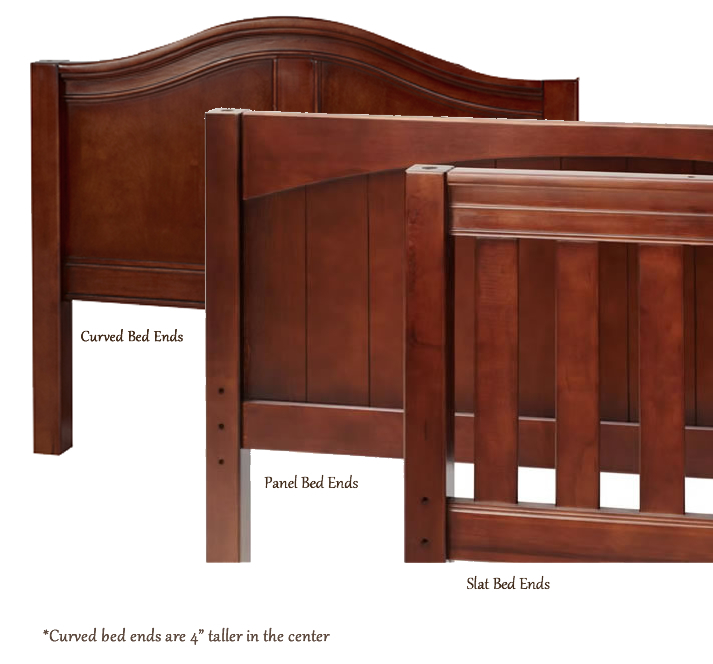 This special oval bassinet with a Cherry wood finish is comfortable for baby and stylish for your home. White Eyelet bedding set includes a lovely skirt, soft bumper, fitted sheet and ruffled, drape canopy. 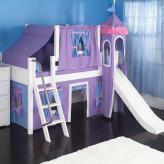 Includes a custom fitted, vinyl covered foam mattress pad. 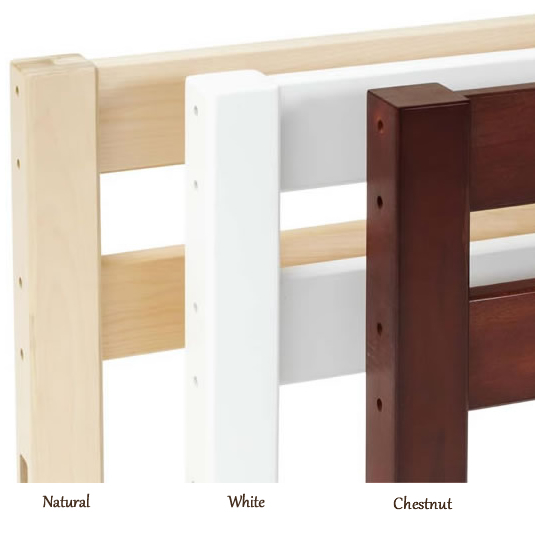 In order to comply with current safety standards, the mattress is approximately 1" thick. The graceful canopy shades the interior to keep out harsh light while baby is snoozing. Canopy is height adjustable. Bassinet also includes caster wheels so it's easy to move from room to room (do not move bassinet with baby inside). Bumper attaches with grip tape and ribbon ties and is padded with polyester fill. Storage shelf beneath the bassinet creates a storage area for feeding and changing necessities and toys. Bedding set is polyester/cotton and machine washable. Tumble dry, warm iron if needed. Bassinet is for use up to 20 lbs. (9.09 kg), 3-4 months, or until baby can push up, roll over, or sit unassisted (whichever age, weight, or activity limit comes first). Some assembly required. Illustrated instructions included. Wipe clean with a damp cloth and mild soap when needed.